Amazing Sunset Picture With Fluffy Clouds, Crescent Moon And Silhouette Of Yacht Against Sun Rays Reflected On The Water Surface. Lizenzfreie Fotos, Bilder Und Stock Fotografie. Image 115452792. 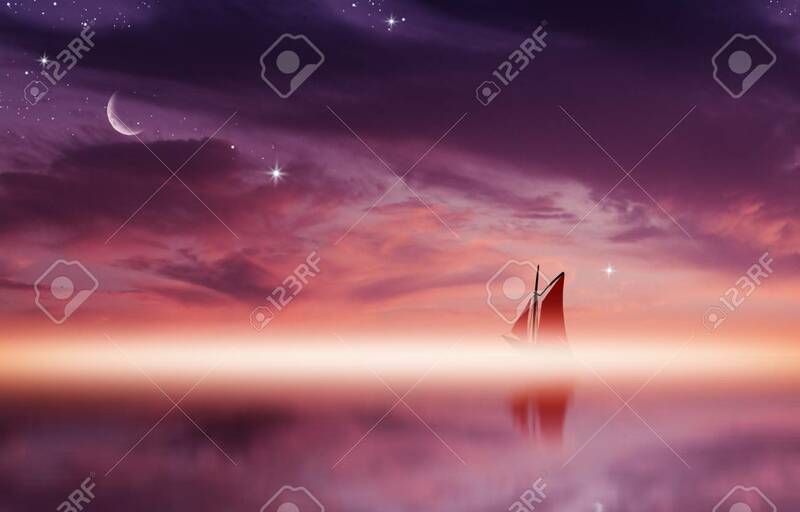 Standard-Bild - Amazing sunset picture with fluffy clouds, crescent moon and silhouette of yacht against sun rays reflected on the water surface. Amazing sunset picture with fluffy clouds, crescent moon and silhouette of yacht against sun rays reflected on the water surface.